Managing time is key to leading a balanced life. Housework and errands, work deadlines, appointments, and school schedules — we all lead full lives. So, how does one juggle everything and still have time to spare? Easy. Manage the time you have and watch how things just flow. 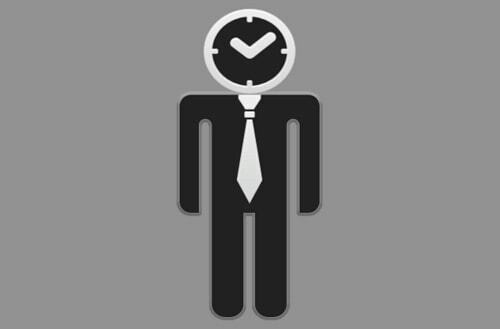 The first step to becoming a better time manager is to track your time. Last week, Mandi shared an excellent tool to help you track your time and see where it actually goes. Do you spend more time browsing recipes online than actually cooking? Are you spending more time checking emails than actually working? Keeping a time tracker, either online or a printable one, will help to identify which tasks take the longest, which are the quickest and which ones really need to go. Once you know how much time each activity takes, it is easy to plan your time. Using tried and tested tools such as a calendar, a planner or an organizer will help you to plan and chalk out your day, week and month. Mark deadlines clearly and make simple to-do lists. If a task is new and you have no idea how much time it will take, have a 5-10 minute buffer time between that particular activity and the next. In fact, buffers are a great way to give yourself some breathing space between chores and errands throughout your day and to help you plan for the unexpected. While I don’t recommend watching the clock constantly, it does make sense to keep an eye on time. Otherwise, how will you manage it? Often, we get so engrossed in our current activity that it’s easy to let time slip away. Twitter, blog reading, watching television or even chatting on the phone with a friend are just some of the instances when I’ve actually lost track of time. That’s fine if all you want to do is laze around, tweeting and reading. But when you have work to do and finish, it helps to “watch” the clock. Wearing a wristwatch is the easiest way to stay aware. And if you like clocks, take a look at these funky clocks. You know your day, your work and family best. Plan and schedule accordingly. Being realistic means letting go of the illusion of perfection. Stop fussing over things that don’t really matter or make a difference to your quality of life. Mindfulness is not only for meditation and monks. When you have deadlines to meet, it pays to focus and block off distractions. Need to declutter the bedroom? Turn on some music but turn off the television. Shut down chat or Facebook while writing a blog post or article. Focus on the task at hand. Simple. Learning to delegate, prioritize and say “no” are some of the most important time management skills that you will use. Identify things or tasks that others can do and then, delegate. Alternatively, find people who can do certain activities better than you and ask for their help. Prioritizing and saying “no’ is essential when you have limited time and plenty on your plate. Take some time to list your priorities on a piece of paper. The idea behind knowing your priorities is to identify what is essential or value-adding and, hence, deserves your time. In fact, once you know your priorities, you’ll find it easier to say “no” to things that don’t figure high on your list. Becoming better at time management takes practice. Make it a habit to plan your day the evening before. Track your time, focus and be realistic, learn to say “no” and practice delegating. Simple steps like these will help you find time where none existed earlier. What do you do to manage your time? What helps you to get things done on time? Next PostLess Computer Time. Better Blogging.